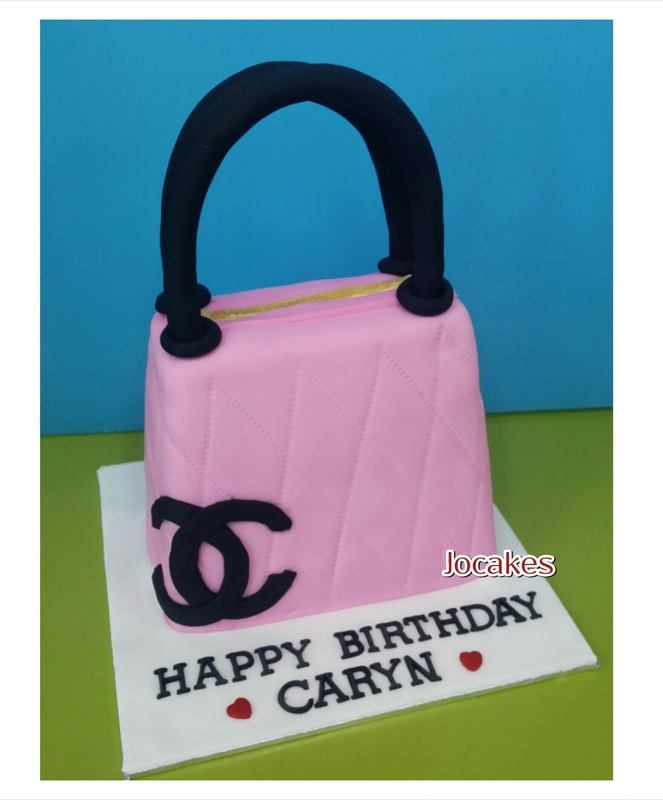 Channel handbag cake for Caryn’s birthday. 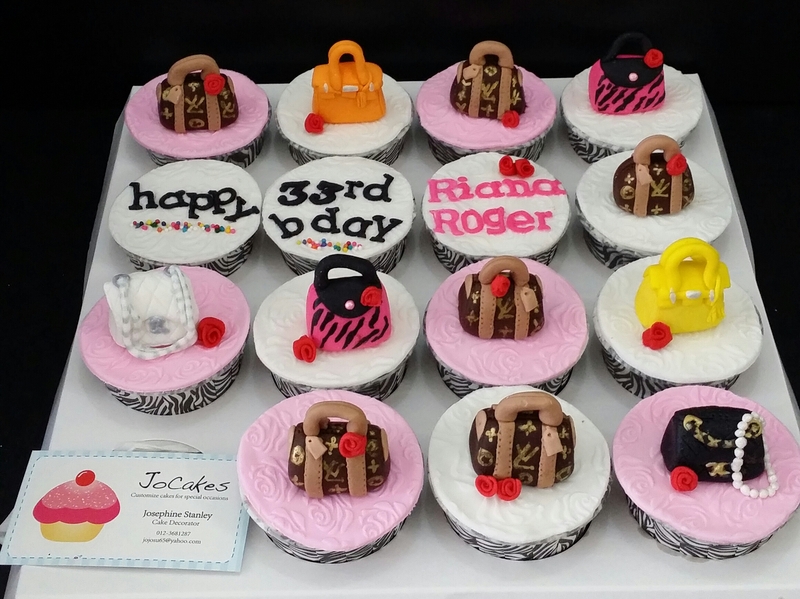 Branded handbags cupcakes for Riana’s birthday. 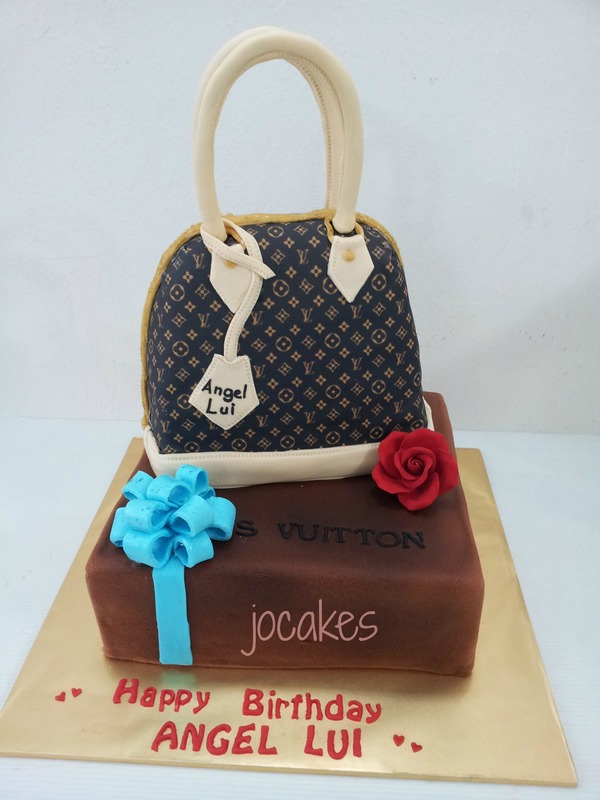 LV handbag cake for Angel Lui. 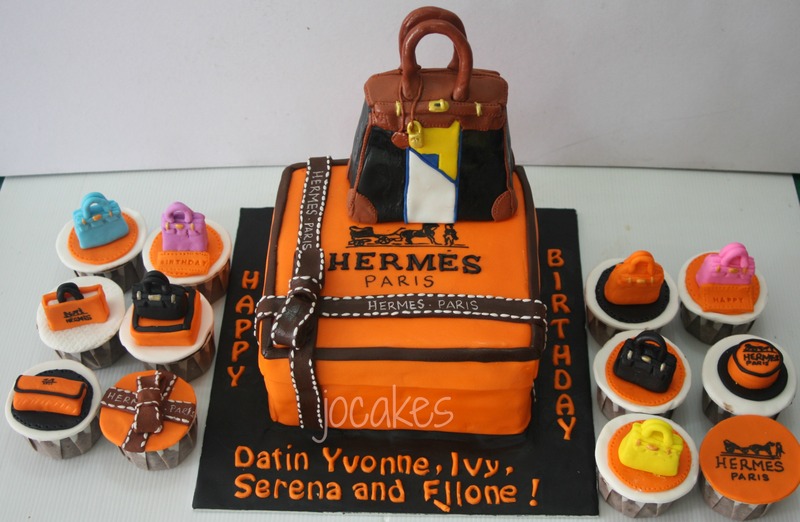 7″ LV handbag chocolate cake on a dummy box. 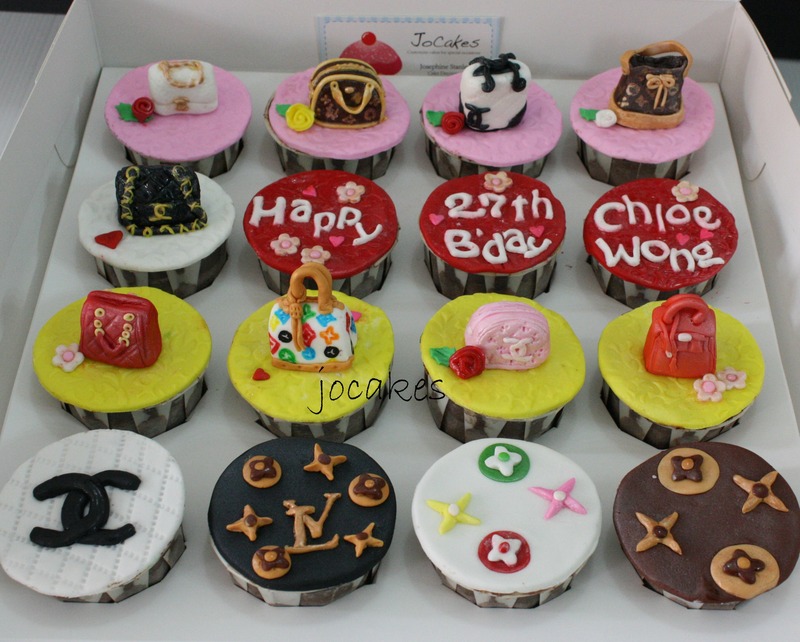 Ordered by Rachel’s lady boss for her staffs. 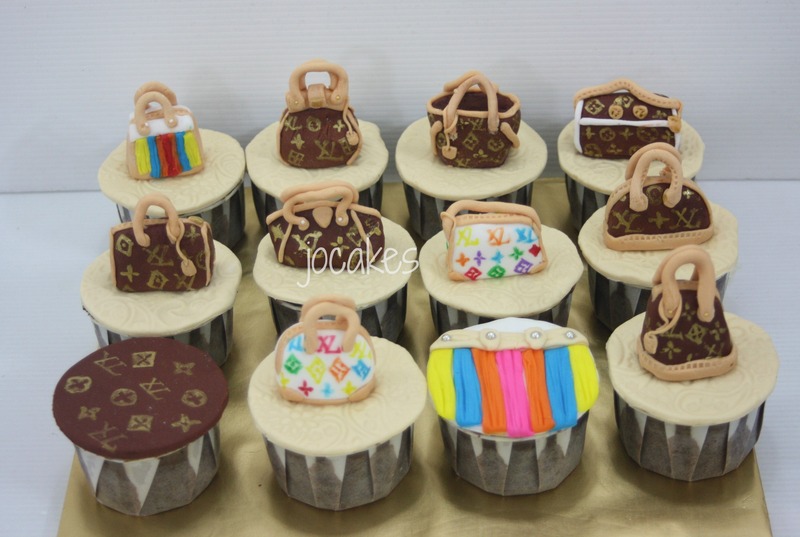 This is the second time, Rachel ordered branded bags cupcakes and cake. 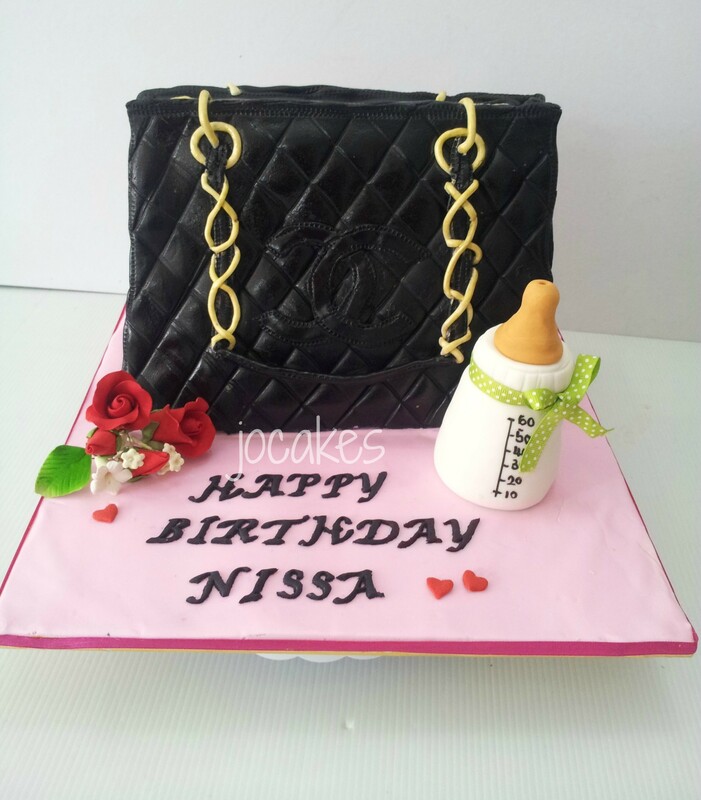 Channel handbag cake for dearest wife, Nissa. 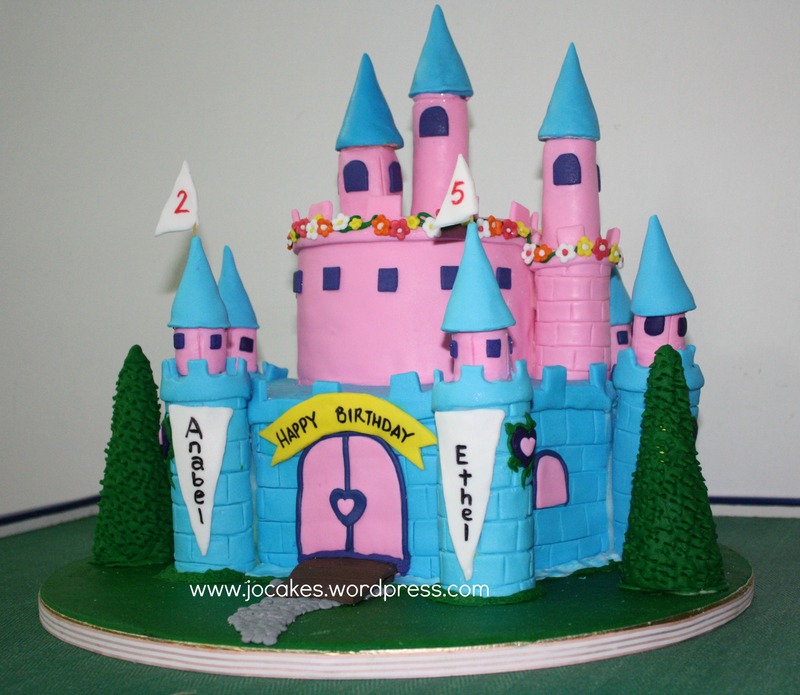 This cake is a joint celebration birthday for 2 year old Anabel and 5 year old Ethel. 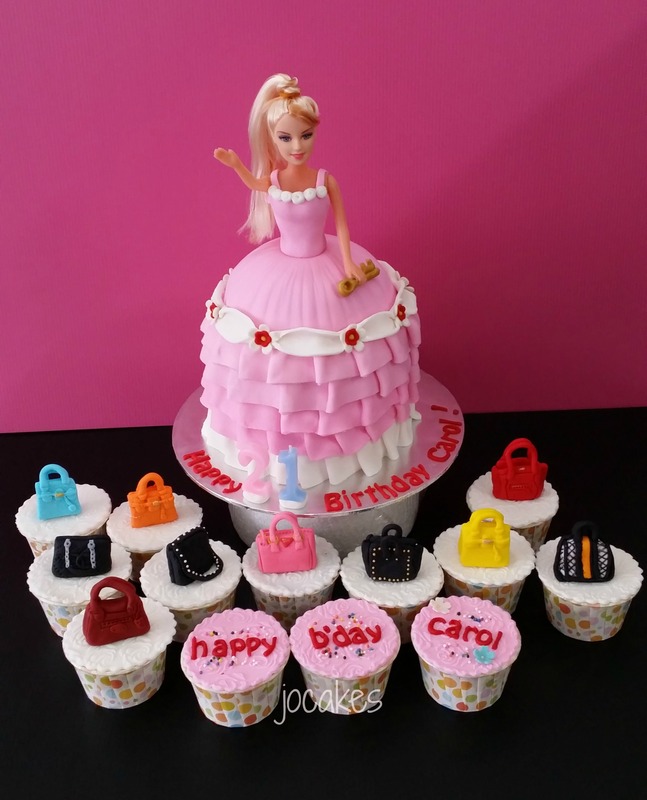 Commissioned by Pheng, Theng and Yik Hui for these two girls together with another cake for their godmother 56th birthday party that is a Channel handbag (The white Channel handbag I’v posted earlier). Altogether, there are 3 celebrations in a day! 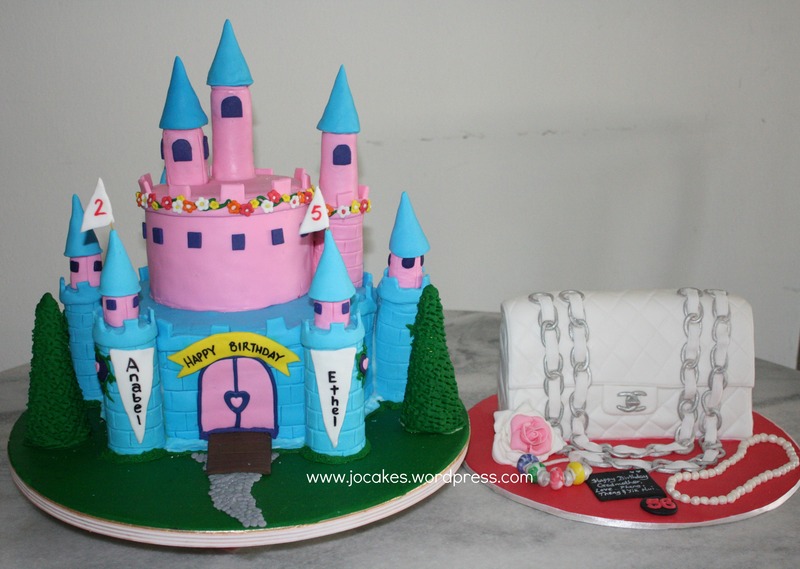 It’s a chocolate mudcake for the 1st tier and vanilla buttercake for the upper tier. 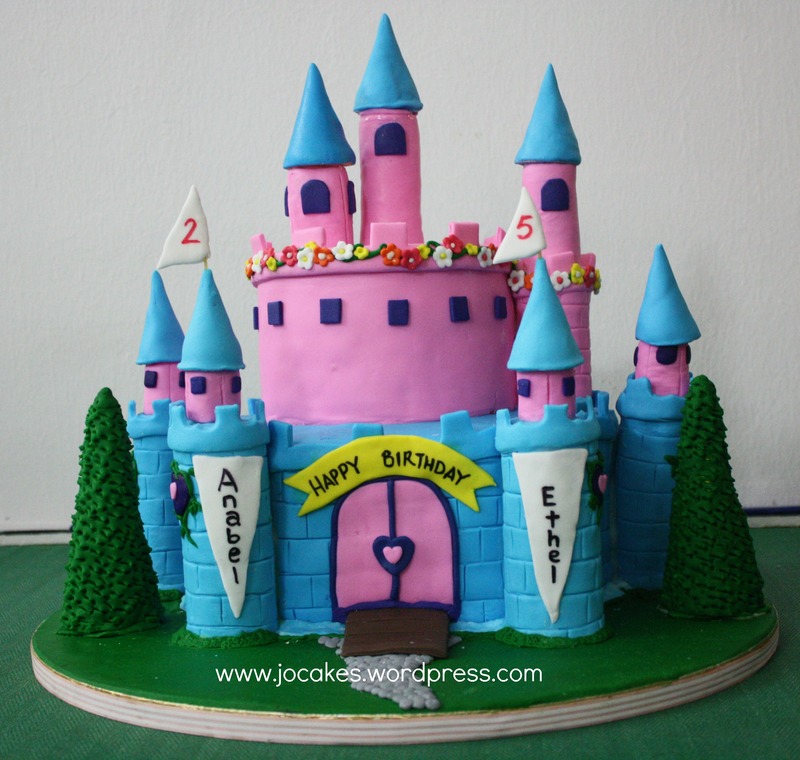 The castle towers were made from breadcrumps and mashmallow wrapped with fondant. 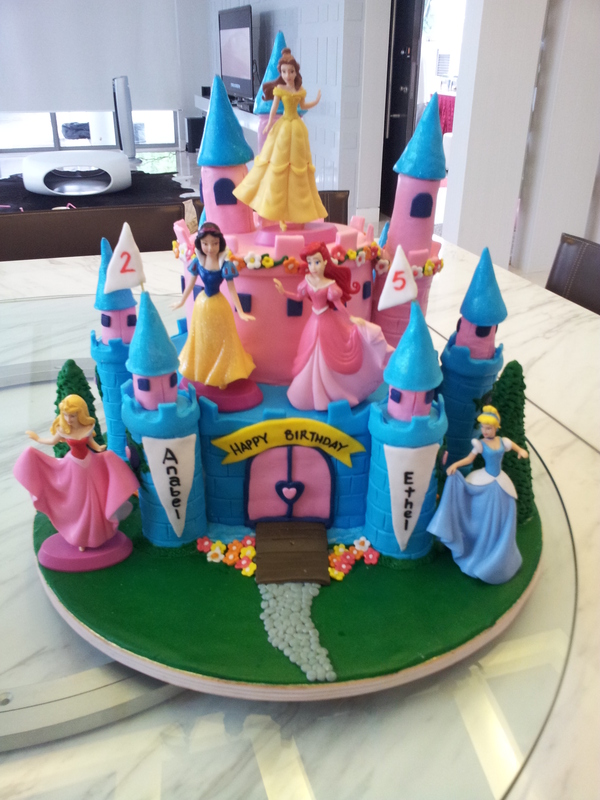 The 5 princesses were bought by them which I then display on to the cake. 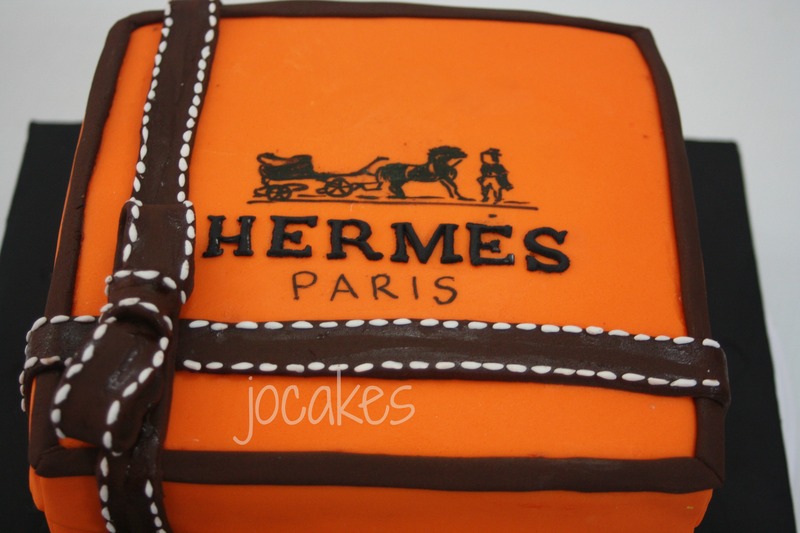 Happy birthday to all the girls!